As a leading, Mayo Clinic trained OB/GYN, Dr. Hildahl offers Naples, FL area patients with the best and most complete obstetric care and treatment during the entire course of their pregnancy at North Naples Gynecology and Obstetrics. Patients can put their trust in Dr. Hildahl, for both their own well-being and the health of their baby. When picking an OB/GYN, looking for a physician who makes you feel comfortable and has the proper training necessary is crucial to ensuring your pregnancy advances smoothly. 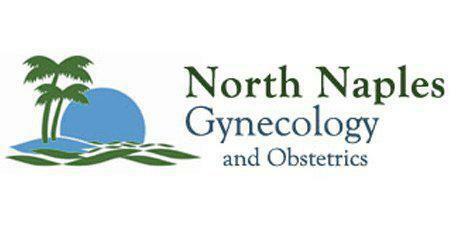 Dr. Hildahl at North Naples Gynecology and Obstetrics is highly skilled at caring for the female reproductive system. He is also able to assist women with any problems which could develop during pregnancy or labor and delivery. Scheduling a consultation with the doctor can assist you with becoming familiar with his training and style. During the visit, asking questions about the services offered, especially regarding the treatment of any preexisting conditions, will be very important. Dr. Hildahl can also work with women regarding any special instructions or needs they may have for how the birth is handled. The doctor can work with you to ensure that your needs are met, and your best interests are being served. At the practice, patients can rest assured that their health and the health of their growing child is in good hands. The prenatal evaluation and exam will include several routine health checks and tests, including blood work, obtaining weight and blood pressure, and the collection of urine samples. As the pregnancy moves forward, the OB/GYN will oversee the health and well-being of the baby using state of the art methods including physician performed ultrasounds. Prenatal checkups will take place throughout the entire course of the pregnancy, through delivery. Sticking to a safe level of activity and a healthy diet can make a significant impact on a woman’s pregnancy. When pregnant, the developing fetus and the mother are taking in nutrients from the same source, what mom eats. Dr. Hildahl can create healthy, nutrient-rich dietary plans to ensure women are getting everything they need throughout the course of their pregnancy. Prenatal vitamins are also available, and the doctor can provide the supervision needed when using these products. Moderate activities can also assist the body to remain strong and healthy. During your pregnancy, the OB/GYN will help you to plan out exercises and activities designed to accommodate the unique challenges of pregnancy and birth.